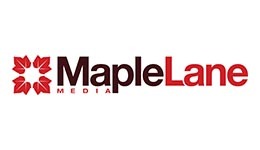 Maple Lane Media LLC is a complete media service company. With over 15 years experience, we deliver superior quality work and service on all projects. When MLM was started in 2002, we provided media duplication and packaging, video shooting, editing and DVD authoring services. Since then we have evolved into a company that specializes in delivering content through all types of media. In addition to our core services, we now also provide full audio visual support and creative services for meetings and events.